OK, tell the truth, you glanced at this pic and thought for one fleeting, optimistic moment it might be an official UCS set didn't you? This is a seriously big, beautiful ship from ~The Steads~. 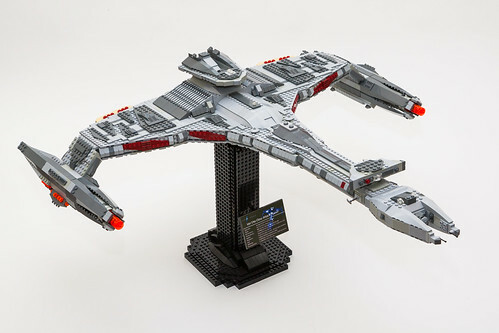 I really wish LEGO would have gotten the rights to Star Trek, instead of a certain other brand of bricks. Maybe then we would have gotten something this cool.